MOHAI (the Museum of History and Industry) is holding an innovation contest on Twitter. Sketch your innovation or idea on a cocktail napkin and tweet it. 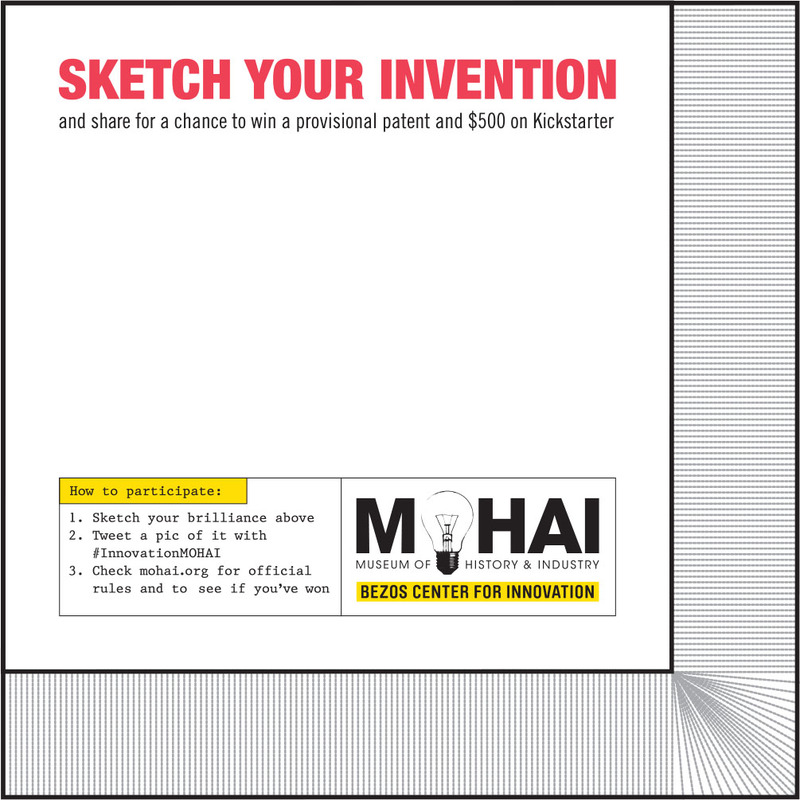 Entrants do NOT cede intellectual property rights to MOHAI for their sketched idea.